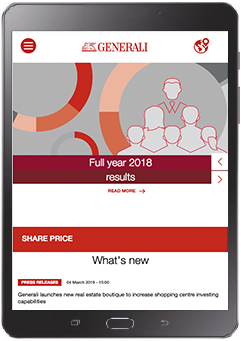 Although 2018 was a challenging year for many economies, especially in Europe, Generali has once again achieved excellent results. The Group closed the year with improvements in premium income, technical and operating performance and net profit. These results made it possible to meet, and in some cases even exceed, the expectations of the 2016-2018 strategic plan, demonstrating the Group’s excellent execution capacity and its tireless commitment to excellence. The Group reporting approach is based on the integrated thinking and Core&More concept also this year the Annual Integrated Report is our Core report, centred on material financial and non-financial information while other reports and channels of communication (More) present more detailed information, some of which targets a specialized audience. Core&More is a reporting approach developed by Accountancy Europe which provides for a core report, including a summary of all key information required to evaluate and understand a company, and more reports, presenting more detailed information. www.accountancyeurope.eu for further information. It provides a concise and integrated view of the Group’s financial and non-financial performance, also pursuant to legislative decree 254/2016 (leg. decree 254/2016). 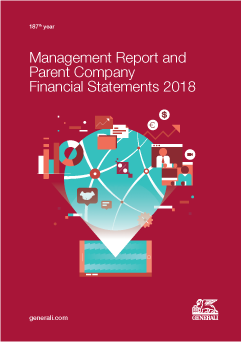 It expands the content of the Annual Integrated Report, providing details of the Group’s financial performance in compliance with national and international regulations. 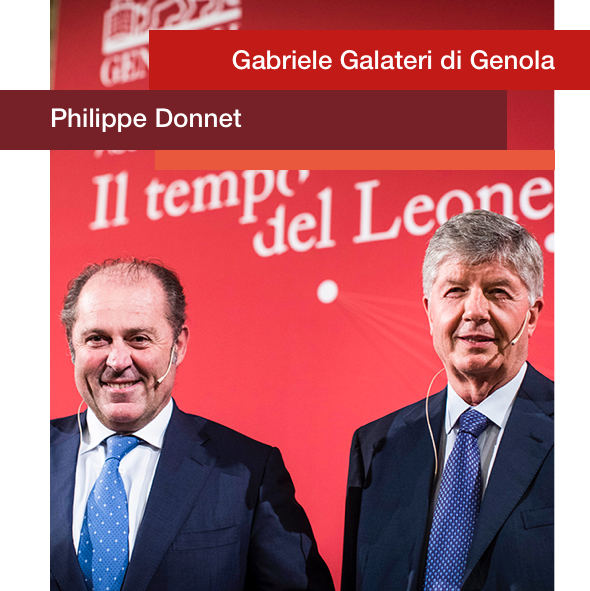 t outlines the corporate governance system of Assicurazioni Generali and its ownership structure. 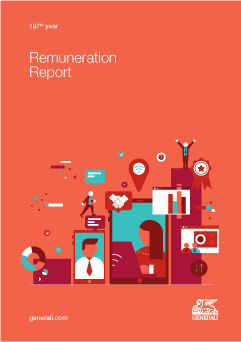 It provides specific information on the remuneration policy adopted by the Group and its implementation. It provides information on the performance of Assicurazioni Generali, in accordance with currently effective regulations. for further information on the Group. The gross written premiums in the Life segment continued the growth in place during the year, standing at € 46,084 million (+5.7%). The net cash inflows were amongst the highest levels in the market, reaching € 11,369 million. The gross written premiums in the Property & Casualty (P&C) segment continued the growth observed during the year, standing at € 20,607 million, growing by 3.3%, thanks to the positive performance of both business lines. The operating result of Asset Management increased from € 261 million in 2017 to € 335 million in 2018 (+28.2%). The operating result of the Holding and other businesses segment came to € -70 million, an improvement compared to € -163 million at 31 December 2017. 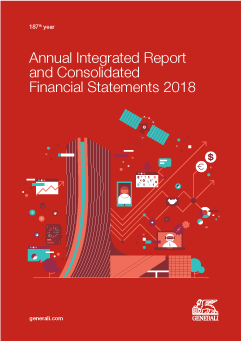 Non-financial information is disclosed in the Annual Integrated Report of the Generali Group in compliance with the provisions of legislative decree of 30 December 2016, no. 254 (leg. decree 254/2016), in implementation of European directive 2014/95. This information is clearly identified through a specific infographic (NFS) created for the purposes of simplifying the fulfilments required by the decree and improving accessibility to the information itself.